This is actually a trick to publicize my “Airbrush 101 and Airbrushing Acrylics” clinic for Cocoa Beach Prototype Rails January 8-9, 2016. See you there! 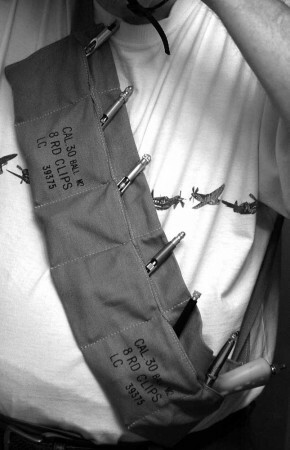 I will be easy to spot with this Bandolier. Hah! Bill was seen this week in Naperville, sporting a quick draw holster for his Grex airbrush. Fortunately, no one was caught in the cross fire. Badgers? We don’t need no steenking Badgers!